Mac Face And Body Foundation Review! Hello! I originally wrote this review as a guest post for Jess but thought you guys may want to see it as well! I am going to do a review of the Mac Face And Body Foundation! I have had this foundation for about two months now, I will give you some background on my skin type! I would describe my skin as combination perhaps! One day it will be quite dry, the next day it will be normal ish and the next day it will be oilier! Mostly it is dry and this causes numerous problems as almost all foundations cling to the dry patches! Yuck! 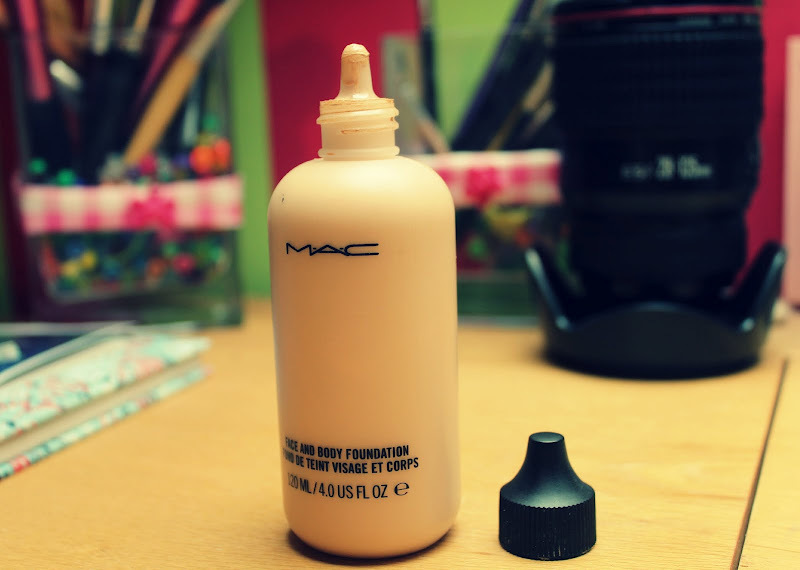 At Mac I am NC20, I bought this foundation in the shade N2. Firstly, I have to say the bottle is HUGE! The majority of foundations are 30ml. 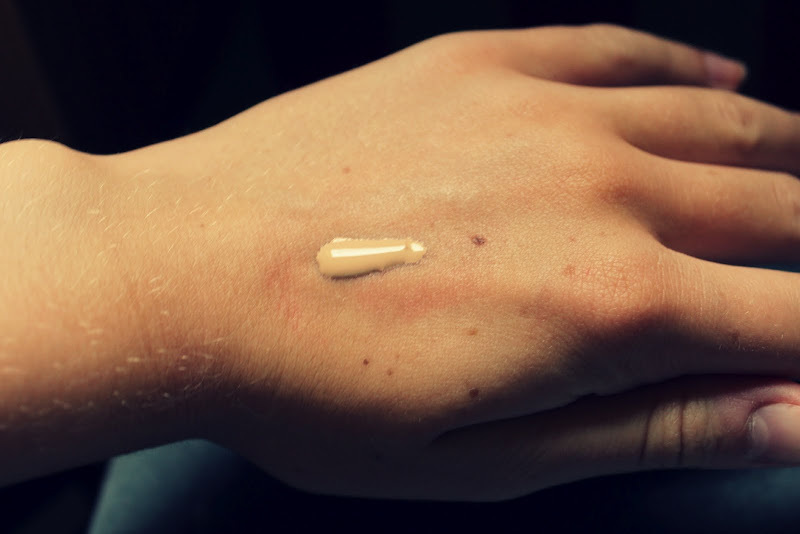 This foundation is 120ml, yes FOUR times the normal foundation! Although it was quite expensive (this one was £26.50) you are getting an amazing amount of product for your money! As I have said, I have had this for about two months and I still have pretty much all the product left. I really like the bottle, being the clumsiest person in the world, glass foundation bottles don't usually work well with me. This is made of plastic, all you need to do is squeeze the bottle and the foundation comes out of the little nozzle. I HATE foundations with no pump or nozzle as I am sat for ages shaking the bottle (which usually ends in me dropping it over the floor) trying to get the product out! The consistency of this product is very runny! It is a water based foundation so that can be expected! I use either a buffing brush (I like to use the Sephora mineral powder brush) or a sponge (I use a beauty blender dupe from Cosmopolitan) and both work really nicely! Personally I didn't like using a flat foundation brush as the product was just too runny and it ended in it being a tad streaky, which is why I like using a sponge as there are no streaks! I think the best thing about this foundation is that it doesn't matter too much if you get the wrong shade. I ordered mine online, having never even tried it out! (Mac stores don't seem to sell this!) I read reviews and came to the conclusion that N2 would suit my skin! Because of the consistency it wouldn't matter too much if you got a shade lighter or darker, if you had bought something like Mac Studio Fix Fluid you would be in trouble as you have to get that matched perfectly or it's a disaster! N2 worked out well for me and blends perfectly into my skin. I personally prefer fuller coverage foundations, having suffered with years of bad skin I just got used to the coverage of them, I was slightly worried that this foundation would be too light in coverage for me! Another great thing about this foundation is that if you want a tinted moisturizer kind of coverage you could and if you were having a bad skin day you could apply more and it would be fully coverage! If you like your foundation to be matte finish, I would not recommend this foundation. It isn't dewy but there is a nice glow about it, you can set it with a powder if you would like a more matte finish as this also looks lovely! I would 100000% recommend this for people with dry skin! 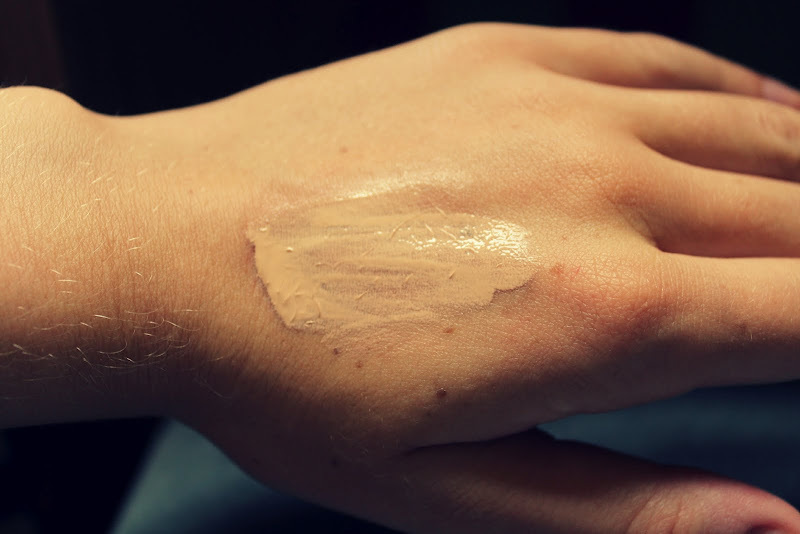 I have always struggled to find foundations that don't cling to the dry patches, this doesn't AT ALL! It is brilliant and I love it for this! You are probably wondering what it looks like on the skin! Here's a picture of me on holiday wearing the foundation. I am not entirely sure what I am doing in this photo, I think my Mum took it, it looks like I'm posing but I didn't even realise she took the photo! Haha! Please note that I have a pretty decent camera that makes my skin look a lot nicer than it is ;) And please also note that I look pretty awful but you get the idea! ..And what are those things sticking out just under my neck?!! Odd! Just thought I would let you know that my sister is officially in labour!!! She was induced yesterday morning, so hopefully soon my little niece will be here! Wow 120ml?! It's cheaper than the Chanel foundation I use too...I didn't know about this, how!? I've never tried MAC foundations though, for some reason I'm expecting them to be really heavy and cakey but this really doesn't look it? I wonder if they give samples out at counters? Although, I am also considering totally changing to a powder foundation instead of liquid soon, not sure yet though! Need to do my research as I'm almost out of my Chanel and I think I want to try something new rather than repurchasing it this time round! Great review, I've wanted to try this for a very long time, since seeing in on Pixiwoo maybe even a year ago. I'm not good with glass bottles either! wow, this looks a little too good to be true :') not sure it would suit me, i'm addicted to totally full coverage, but if my skin ever improves i will totally give this a go.. still can't get over the 120ml, wow! 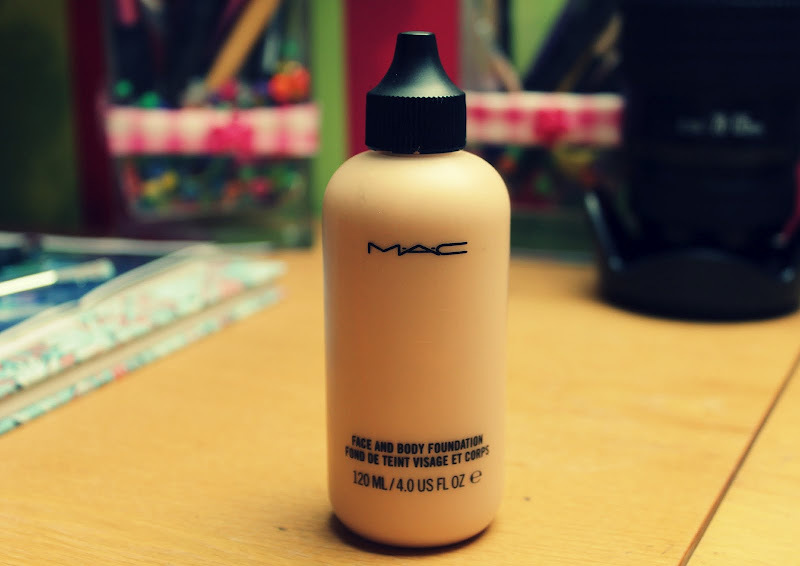 This looks like such a nice foundation, I used to love MAC but I found out that they test on animals and I don't want to buy from them. It is such a shame, I miss wearing their products! When you think their foundation is around £22 and this one is £26ish for a lot more product that isn't too bad price wise! It looks really nice on too!